Here’s everything I know about addiction in five words: It isn’t about the substances. Alcohol and pills are just the medications people take when they’re feeling depressed, anxious, and hopeless. In our experience, people reach for drugs, booze or other substances when they don’t have the tools they need to cope with some untreated underlying condition – usually trauma and loss. This is actually good news, because if we can treat those underlying core issues – if we can address what is causing the depression, anxiety, self-loathing, and so forth – then there’s no need to self-medicate anymore. When people have a mental health issue coupled with substance abuse, it’s called a dual diagnosis. Examples of dual diagnosis pairings include alcoholism and depression, or drug abuse and Post Traumatic Stress disorder (PTSD). #1 Chances are good that you have a dual diagnosis. My experience as the co-founder and CEO of a residential recovery program leads me to believe that that rate is actually much higher. Do you suspect that your untreated depression, anxiety, or trauma are driving your substance use? If so, know that you’re not alone. In fact, you’re not even in the minority. Most people who deal with addiction have a concurrent mental health condition that has not been addressed adequately. #2 The mental health issue typically predates the substance abuse issue. Though substance abuse can exacerbate – and in some cases, cause – mental health issues, much more often the mental health issue comes first. #3 If you have a dual diagnosis, medical detox is just the first step. For addictions fueled by mental health conditions, simply clearing your body of drugs, alcohol, or other toxic substances isn’t enough. Professional medical detox is a great start, but it’s not the end of the road. 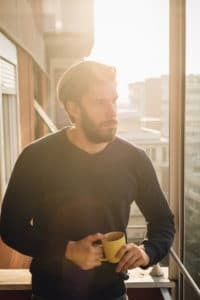 In order to truly recover from addiction, you need to resolve the underlying mental and emotional issues that led you to start using in the first place. #4 Dual diagnosis conditions require dual diagnosis treatments. This might sound obvious, but many times people with a dual diagnosis sign up for addiction treatment that doesn’t address their mental health issue. For example, while the 12 Steps have done a lot of good for a lot of people, they were designed as a spiritual program, not a psychotherapeutic one. The 12 Steps were not designed to address mental health issues such as bipolar disorder and major depression. True dual diagnosis treatment includes professional services to address those issues. #5 Historically, addiction and mental health issues were treated separately. In sequential treatment – a popular approach prior to the 1990’s – individuals with a dual diagnosis were required to receive treatment for their substance abuse prior to receiving mental health services. Since the mental health issue typically predates the substance abuse, this approach was problematic. Soon sequential treatment gave way to parallel treatment. In parallel treatment, people with a dual diagnosis received mental health supports and addiction treatment at the same time. However, the individual’s support teams typically didn’t communicate. There was a distinct lack of continuity and a high probability of conflicting guidance. 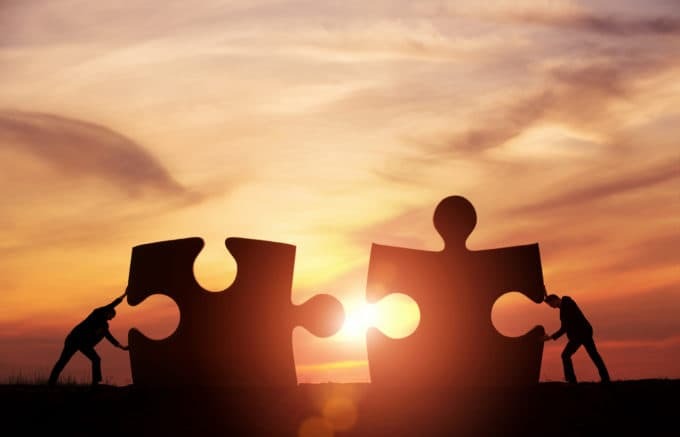 Truly integrative treatment – that is, an individual receiving both mental health services and addiction treatment at the same time through the same system – is relatively new to the scene. #6 True dual diagnosis treatment includes substantive professional mental health counseling. When you’re dealing with a mental health concern such as depression, anxiety, or trauma, it’s important to work with a qualified mental health professional. Culturally, we take this for granted when there’s no substance abuse involved. When someone we love has suicidal depression, for example, we help them get to a trained therapist. However, when someone we love has issues with drugs and alcohol along with a mental health condition, this logic flies out the window. We send them to support groups led by people with no mental health training and pray that they recover. But what if we provided real, substantive mental health care instead? #7 Not every rehab that claims dual diagnosis treatment really provides it. There are addiction treatment centers out there more interested in profits than in healing. Unfortunately treatment center marketing tends to be more hype than substance, lacking key program information such as total counseling hours and overall program cost. It doesn’t have to be this way. My colleagues and I are committed to cost transparency, and our program includes over 120 hours of evidence-based individual and small group therapy led by licensed mental health professionals. This approach is still relatively rare in the industry, but it is possible to find programs that are doing things differently. #8 Just because the 12 Steps didn’t work for you doesn’t mean you can’t recover. I hear from so many people who are discouraged after trying one, two, or more traditional 12 Step recovery programs. They believe that because they didn’t succeed there, they can’t stay clean. Fortunately, that’s not the case. We know that the 12 Step system works well for some, but we also know that it wasn’t created to help people heal from mental health issues. So of course people with a dual diagnosis need a different approach! Nowadays there are Non 12 Step rehab programs springing up across the country; recent estimates from American Addiction Centers tell us that approximately 26% of all residential rehabs are Non 12 Step. #9 There are a ton of addiction treatment approaches out there, some are much more effective than others. Addiction treatment modalities can be broadly split into 12 Step and Non 12 Step approaches. Within the Non 12 Step category (sometimes referred to as 12 Step Alternatives), there’s a plethora of modalities, some of which can be considered dual diagnosis treatment. Popular 12 Step alternative approaches include aversion therapy, medication, behavior modification, education, and holistic treatment. As you investigate rehab programs, also look into the success rates of their approaches. Read the statistics on which ones really work and go from there. #10 Can’t find the dual diagnosis treatment you’re looking for? Don’t give up. If your initial round of research doesn’t yield positive results, keep searching. Somewhere, there is a program for you. You might need to look outside of your city or state. Finding and getting to the right counselor or program might be a logistical stretch. My encouragement is this: you are worth the fight.